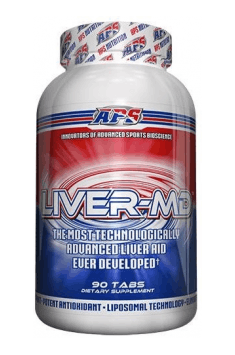 APS Liver-MD is an advanced formula developed to support the function and health of the liver, the main ingredient of which is the Milk Thistle seed extract. The preparation has been enriched with phospholipids, N-Acetyl-L-Cysteine, five-flavor berry extract, licorice root extract, Picrohiza kurroa extract, blueberry leaf extract, L-Glutathione and benfotiamine. The liver plays a key role in the metabolism, neutralization and excretion of substances consumed and transmitted through the circulatory system. Many drugs or toxic compounds from food and the environment, by triggering oxidative stress, may cause liver damage. The pathophysiological consequences of hepatic oxidative damage include dysregulation of lipid metabolism and the subsequent steatosis, impairment of liver function resulting in degeneration of hepatocytes and their degeneration, and activation of the immune response that causes inflammation, fibrosis and consequently cirrhosis. The preparation contains substances that, thanks to their unique properties, provide support in the regeneration of hepatocytes and liver protection against the negative effects of xenobiotics. The foundation of the preparation is Milk Thistle extract which is currently the number one in terms of natural specificities supporting the function and health of the liver. This extract has been standardized to contain 80% of silymarin, which is a rich source of another component responsible for the therapeutic benefits of the supplement – silybin, which has antihepatotoxic properties against many substances that can damage the hepatocytes or interfere with their proper functioning. Research has shown that the use of Milk Thistle extracts has a beneficial effect in the treatment of acute and chronic liver diseases, as well as in the prevention of cirrhosis. Phospholipids are a common addition to supplements, or they act as a basic ingredient in many preparations aimed at improving the regeneration of the damaged liver. They enable replenishment of defects in hepatocytes membranes and thus ensure their faster reconstruction. By reducing the production of collagen and increasing the activity of collagenase, they limit the processes of fibrosis in the liver. Due to phospholipids, the metabolic activity of key enzymes and antioxidants in the liver is also increased. The supplement has been enriched with the addition of the active form of glutathione, which is one of the most important antioxidants in the human body. As an antioxidant, it not only protects the liver cells from the negative effects of oxygen free radicals but also regenerates the oxidized forms of vitamins C and E. Under physiological conditions, the liver is protected from oxidative stress by the ability of its hepatocytes to independently synthesize glutathione. Scientific research provides evidence that glutathione deficiency is one of the factors involved in the pathogenesis of the most commonly occurring hepatopathies. In addition, the preparation also contains N-Acetyl-L-Cysteine (NAC) which is an excellent source of cysteine, an essential substrate in the synthesis of glutathione. Five-flavor berry extract (Schisandra chinensis) is characterized by a strong protective effect on the liver. It has been shown to increase the activity of cytochrome P450 responsible for the metabolism of foreign substances in the body, to reduce the activity of hepatic enzymes that are markers of its damage and to accelerate the proliferation of hepatocytes, which is essential for the repair and regeneration of the liver. The component has been standardized for the content of 9% of schisandrin, which has the properties to slow down liver cell necrosis. Studies assessing the effect of licorice on liver function provide evidence that due to anti-inflammatory effects and the strengthening of antioxidant defense, the herb has a protective effect on possible alcohol-induced liver damage and the effects of free radicals. According to current knowledge, the potency of Picrorhiza kurroa extract focuses on hepatoprotective, anticholestatic, antioxidant and immunomodulatory activity. The most common medical applications of this plant include the support of treatment for all forms of liver damage, liver cirrhosis and hepatitis. The preparation has been enriched with blueberry leaf extract, which has a documented action to inhibit the inflammation process in the liver and thus prevents damage to hepatocytes. In addition, there is evidence that it can stop the development of liver cancer in all three phases: initiation, promotion and proliferation. Benfotiamine is a precursor of thiamine (vitamin B1), whose bioavailability is higher than other sources of this vitamin. It is believed that it can prevent the apoptosis of cells, including the liver cells, whereas thanks to antioxidant properties, it protects against DNA damage and also inhibits excessive oxidation of proteins and lipids. It is also known that benfotiamine has a protective effect against hepatic tissue damage caused by various disorders of homeostasis of calcium and other trace elements. In summary, APS Liver-MD is a versatile preparation that is irreplaceable support for normal functioning and general health of the liver exposed to all types of toxins, alcohol, steroids, prohormones, or substances from the external environment, including the working environment. The product is especially recommended for all athletes using oral forms of doping and all individuals, who for various reasons, would like to improve their liver function. As a dietary supplement, take 3 capsules daily, preferably with food. In case we decide to use 2 servings a day, remember to take them within an interval of 8-12 hours between the doses. If the supplement is used to counteract the negative effects of the use of steroids and prohormones, the treatment should be started already during the cycle and continued a few weeks after its completion. Microcrystalline Cellulose, Dextrose, Sodium starch glycolate, magnesium stearate, stearic acid, silica, FD&C green #3.